Go to Keywords list for the domain you want to export data for, and select "Download Report". 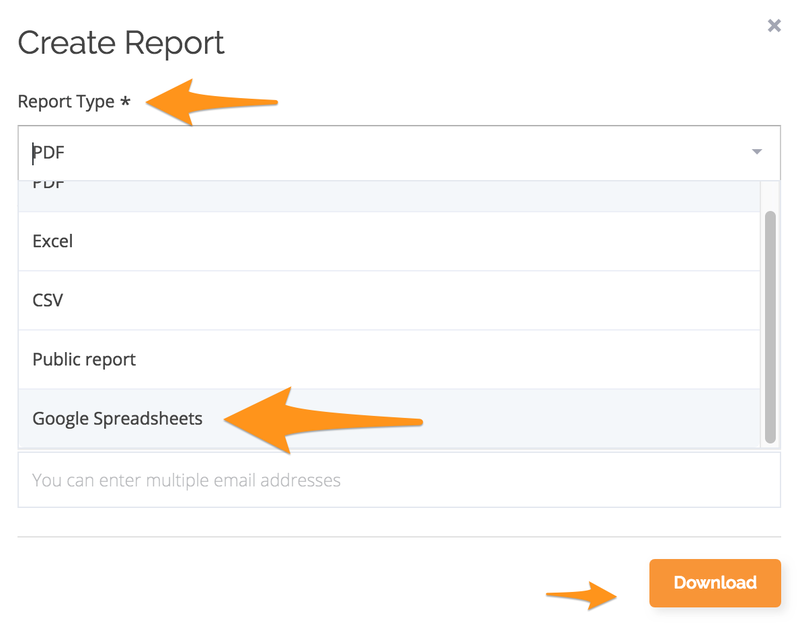 Under Report Type select "Google Spreadsheets" and click download. 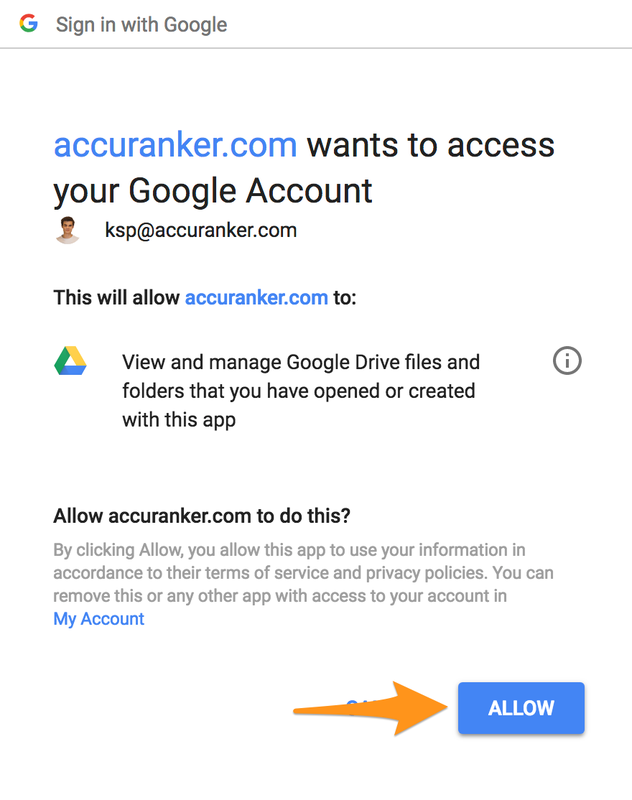 If you haven't connected a Google Drive Account, you will be prompted to do so. Once you have connected to Google drive, simply click on Download Report in the keywords list, select Google Spreadsheet and click download. Once the report has been created, go into the connected Google Drive account to access the report. To remove your Google Drive connection, go to Profile in the top right corner, and select Remove Connection under Google Drive Connection. 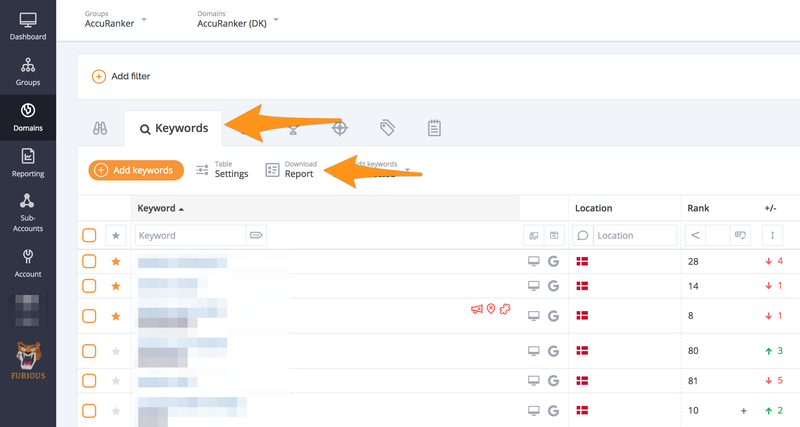 If you would like to share report as a link - read more about Public Report in AccuRanker or if you rather want to choose yourself the article related to Reports then go to our Help Section.